Interior decorating in a corporate environment can be a very different challenge than decorating a client’s private home. There are different elements to consider and different stakeholders to impress. But the ultimate goal is the same, no matter what space you’re decorating. You want to end up with a space that everyone will find comfortable and functional. Being a professional interior decorator for corporate clients can be extremely lucrative and rewarding for your business. Many decorators only take on private clients, so expanding your business model to appeal to a corporate client can be an easy way to gain more business and increase your salary as an interior decorator! Each industry has unique requirements. When you think “corporate workspace” you probably think “office space”. But a corporate interior decorator can be hired to decorate any professional space, from a bakery to a doctor’s office and everything in between. Today we’ll look at the key elements to consider if you’re hired to decorate a corporate space. Decorating a corporate office is likely going to be a larger scale project than decorating a single client’s home. The space will likely be larger, the budget will be higher, and the clients will have different end goals in mind. You’ll want to conduct a client consultation to get a good sense of the company culture, values, and their vision for the space. A company who has a casual and collaborative work culture will have a completely different design goal from a company that’s ultra-conservative and employs mostly independent workers. It’s easy to think you understand company culture/values from researching the company ahead of time (and you should do this), but you’ll want to confirm your assumptions with the higher-ups before you start designing. Keep in mind, corporate clients will usually have a clear design in mind when they call you in. Try to incorporate their design into your final plans as much as possible, or you’ll find yourself being sent back to the drawing board. If their design ideas are terrible – which happens more often than you might think – you’ll want to communicate this clearly and respectfully. Be up-front with clients about why you disagree with their ideas, using logical and objective arguments. The “I just don’t think this would look good” response probably won’t be a good enough reason to not do what they want. Getting “sign off” from key stakeholders for a corporate office design can be more difficult than in a home decor situation. When working in a home, you’re likely dealing with a single person – maybe a couple who are generally on the same page. In a corporate office setting, there can be many different stakeholders that you have to make happy with your designs. Usually when working with a corporate client, you’ll have one point-of-contact within the company whose job it is to work with the decorator, but many people behind the scenes will have a say in the project. When you first meet with your clients, ask if you can get all stakeholders into one room to talk to them about their design ideas and requirements. When you come back with a plan, try to have those same people present. The company that hires you should have already done this before calling you in, but you’d be surprised how many don’t bother. 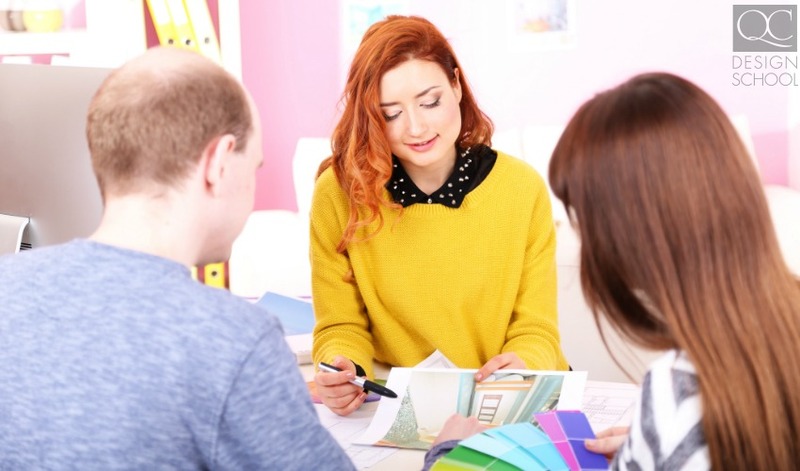 When you’re brought in as the interior designer, ask your primary contact if you could speak directly with a few employees who will be directly affected by your office design. You’ll find that often, employees will have completely different goals or requirements from a design from what their bosses would like. A good corporate decorator will want to make employees happy just as much as the CEO! And by the way… a good CEO will want to know if their interior decorating ideas don’t mesh with what their employees want or need. So don’t be afraid to get the two groups talking if their visions are wildly different. Pay special attention to lighting. In most corporate settings you’ll want bright, well-lit spaces. Most employees will tell you they prefer task lighting instead of bright overhead fluorescent lighting. Don’t be afraid to use colors! Most corporate spaces are dull and lifeless, which is why they’ve asked for your help! Ditch the dull grey or depressing beige walls in favor of rich colors, from walls to carpets to desks and flooring. Having advanced knowledge of designing with colors can really help you in the corporate design industry! Go with function over fashion. In the end, it’s still a workplace. 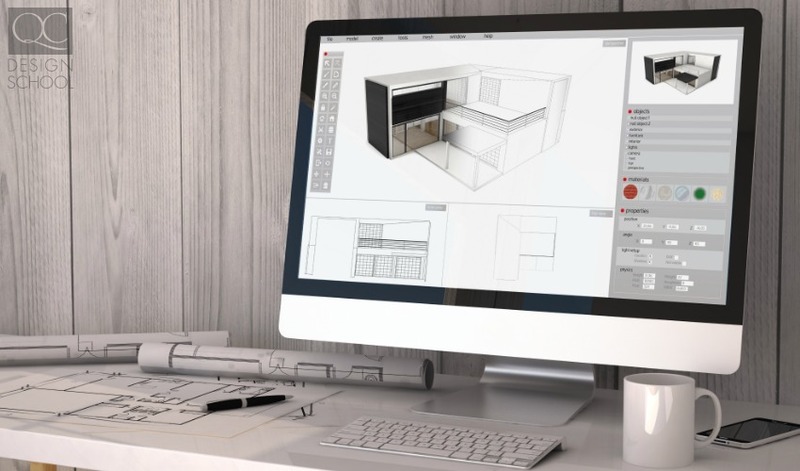 So while a large “table” workspace might look great in an open office (and is pretty trendy right now), most employees will prefer individual desks with storage options. Maximize floor space. While potted plants or other pieces of free-standing art are nice and all, you might be sacrificing valuable floor space that could be used for an additional work station or a comfortable couch for employees. Try to incorporate art, plants, etc. onto walls instead of on the floors. Take “Open Concept Office” with a grain of salt. Remember when we talked about involving employees in your plans? Most will tell you they hate the idea of an open concept office. This doesn’t mean you have to design a cube-farm. But do consult with employees about what teams really *need* an open-concept environment, and which employees need a quieter space. If possible, try to arrange your floorplan to put “louder” employees/teams as far away as possible as employees who need quiet spaces. It’s okay to try and use cubicle walls to accomplish this! Also, no one likes motivational posters. So let’s not. When you start implementing your design into a corporate space, you’ll need to be flexible and understand that your presence, while welcome, will be a hindrance to the people who have to work there. Employees who are working at their computers, or meeting with clients, or making important phone calls, won’t appreciate you walking around and disturbing their routine. They might be happy you’re there making their workspace comfortable, but they’ll look forward to when you’re gone! Assuming the office is closed on weekends, try to schedule painting at the start of a weekend – ideally on Friday evening if possible! That way, the paint should be dry (and the smell mostly gone) by the time employees arrive on Monday morning. Same goes with re-arranging or changing office furniture. If workspaces are being replaced, you’ll want to arrange to do this when employees aren’t around. If working on a weekend/evening isn’t an option, see if the company can arrange to have employees work from home or have a day off if your work will be a hindrance to them. Make sure employees are given advanced notice on when their workspaces will be moved. It’s a good idea to advise all employees to temporarily remove any personal items from their workspaces. That way you won’t have to worry about damaging or misplacing personal items. When you decorate a corporate office, you’re working to improve the quality of life of every employee who works in that space. It’s a huge undertaking, and an extremely rewarding one for certified interior decorators! Are there any other tips we missed? Let us know! Interested in becoming a corporate interior decorator? QC’s Interior Decorating Course will give you the skills you need to start that exciting career! Previous PostQUIZ: Do You Know Enough About Feng Shui Design? Next PostQUIZ: Could You Pass an Interior Decorating Certification?